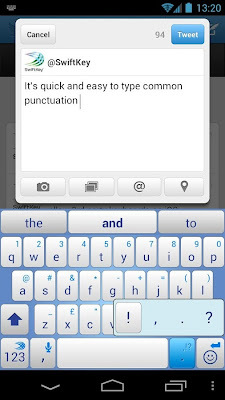 Minuum Keyboard beta now available on the Google Play Store and SwiftKey Keyboard Cloud is now out of beta. Minuum Keyboard public beta release is currently only available in English, with more languages coming soon. SwiftKey 4.2 featuring SwiftKey Cloud, allows you to create a cloud-based hub for your personal language profile for the first time. SwiftKey 4.2 is a free update for existing users – just return to the app store you purchased SwiftKey from and hit 'update'. For new users, a 50% off sale available on the Google Play Store. ﻿Minuum, is the little keyboard for big fingers! It is a tiny, one-dimensional keyboard that frees up your screen space while allowing you to type fast and accurately. 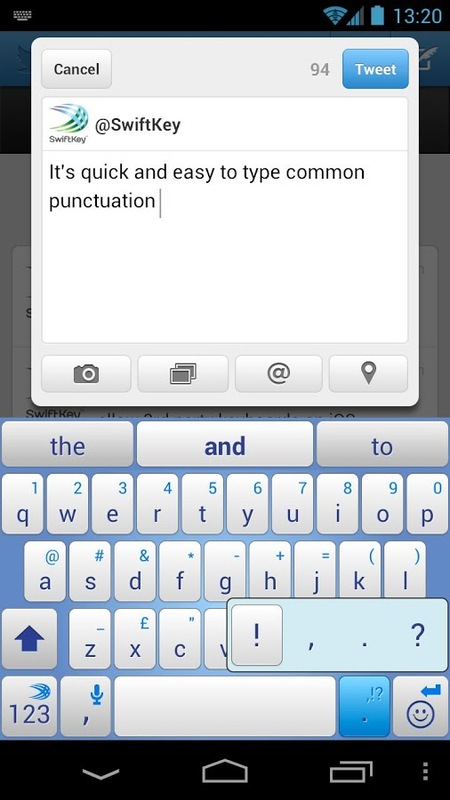 Type quickly without worrying about being precise, thanks to smart auto-correction. Voice typing - Hands-free text entry which enables you to type in between performing other activities. 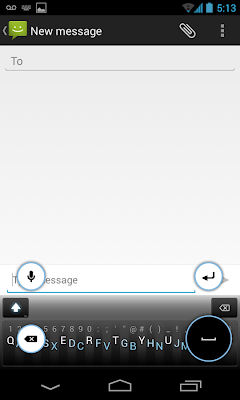 Minuum users can now experience this voice-to-text capability via Google Voice Typing. Alternative alphabet arrangements - Users can now choose from different keyboard layouts, such as AZERTY, instead of having to use the QWERTY arrangement. This enhancement, based on Minuum's capability to provide custom layouts, addresses the needs of international user base, a large portion of which does not use the standard English-language layout we're used to. ﻿SwiftKey Keyboard for Android takes the hard work out of touchscreen typing, replacing your phone’s keyboard with one that understands you. It provides the world's most accurate autocorrect and next-word prediction in 60 languages. It connects seamlessly across all of your devices, with SwiftKey Cloud. Backup & Sync - With Backup, your personal language profile is kept safe in the cloud, giving you the personalized SwiftKey experience within seconds of installing the app on a new device. With Sync, the words and phrases that matter to you are seamlessly shared across all your devices. Trending Phrases - SwiftKey's technology analyzes Twitter and other news sources to sift out the most relevant daily discussions and localized trending topics in your language. Using advanced technology, SwiftKey captures the day's most important phrases from the worlds of news, showbiz and sport to help you type about what’s on the agenda that day. This feature launches in the following languages: English (US), English (UK), English (AU), Arabic, Dutch, French, German, Hindi, Indonesian, Italian, Korean, Norwegian, Portuguese (PT), Portuguese (BR), Russian, Spanish (ES), Spanish (LA), Swedish, Turkish. Enhanced Personalization - SwiftKey Cloud makes it easier than ever to ensure your next-word predictions and auto-corrections are tailored to you. Full integration with the Gmail and Facebook APIs allows for 'one-click' personalization for accounts registered on your device, and Yahoo! Mail has been added alongside Twitter, RSS and SMS personalization options.